The true remote CCP Capacitively Coupled Plasma source ensures lowest impact to the substrate (no ions, no light from plasma) and guarantees stable pulse operation during the plasma enhanced atomic layer deposition (PEALD) process. The system can be equipped with several in-situ diagnostics tools e. g. QCM, QMS, ellipsometer. Ultra-fast in-situ ellipsometers are offered for monitoring layer-by-layer film growth applying laser ellipsometry as well as wide range spectroscopic ellipsometry. Atomic Layer Deposition (ALD) is a layer-by-layer deposition process of very thin films with conformal coating on 3D structures. Precise control of thickness and film properties is facilitated by adding precursors in separate steps into the vacuum chamber during process cycle. Plasma Enhanced Atomic Layer Deposition (PEALD) is an advanced method of extending the capabilities of ALD by applying radical gas species rather than water as oxidizer during the deposition process. Based on many years of experience in developing and manufacturing PECVD and ICPECVD equipment, including the proprietary planar triple spiral antenna ICP source, SENTECH proudly announces the launch of its first PEALD system. The new ALD system enables both thermal and plasma assisted operation and deposition monitoring using SENTECH ellipsometers. SENTECH offers leading edge ultra-fast in-situ ellipsometers for monitoring layer-by-layer film growth applying laser ellipsometry as well as wide range spectroscopic ellipsometry. 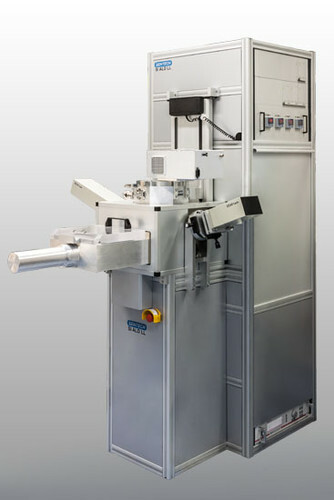 The first PEALD system was already set in operation at the TU Braunschweig for the deposition of extremely uniform and dense thin oxide films like Al2O3 and ZnO. For the deposition of Al2O3, TMA (C3H9Al) and plasma generated atomic oxygen 'O' were utilized at substrate temperatures from 80 °C to 200 °C. The PEALD films exhibit excellent thickness uniformity and very small variation of the refractive index.